NEW! Divine Alignment for Kindle - Download Today! 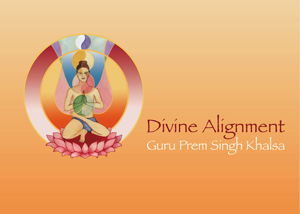 Divine Alignment, the amazing book from Guru Prem Singh, is a must-have for every teacher and student of Yoga. It gives you the basic skills needed to grow any posture, and the strength to carry yourself in a state of grace and majesty. 'Divine Alignment', now in its 4th printing, is a book Yogi Bhajan asked GuruPrem to write, 'Kundalini Yoga the correct way', Divine Alignment is now in print in German, Portuguese, Spanish, Italian, Russian, Chinese! 'The Heart Rules' - Divine Alignment for WholeHearted Living thru Yoga, Meditation and Music. This book comes with an accompanying Music & Mantra CD. 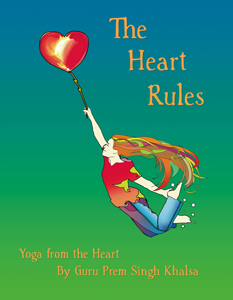 The Heart Rules is a manual that shows how to safely begin any level of Yoga practice. It teaches Yoga Sets(Kriyas) and offers alternatives, and ways for any level to approach how to do the asana's(exercises). The first step is recognizing what you need to work on, then steps to reclaim flexibility, strength that is naturally yours and then realization thru meditation, music, and mantra. Through these tools one can release the dark hearts i.e. broken, cheatin', closed heart, dark heart, cold heart, etc. And allow ourselves to live with Virtuous Hearts and become Light Hearted, True Hearted, Brave Hearted, True Hearted, Pure Hearted, Great Hearted and thereby Happy, Healthy, Prosperous, Couragous, Generous and at Ease. 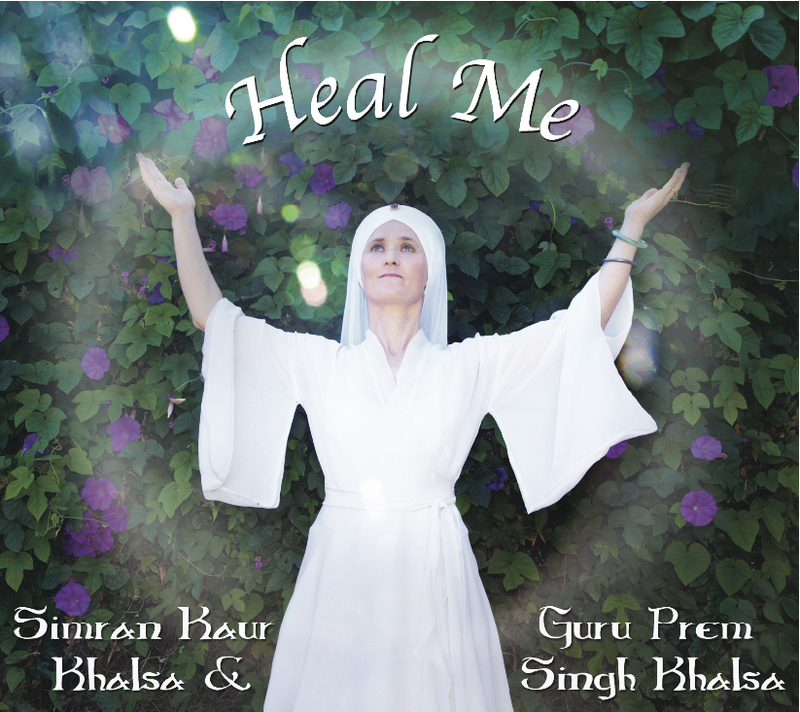 Listen to our new album Heal Me - Songs & Mantras for Healing This entire Album: Heal Me, was done as my personal prayer for healing and redemption. Though made up of multiple songs, it is meant to be enjoyed as a complete experience, from beginning to end. When listened to in this way, the songs weave a tapestry of deep and manifold healing. It is my hope and prayer that my journey of healing is conveyed through this music and that each listener can be healed through the sound and vibration that has been created. Praise for Heal Me: "This is totally fly!" 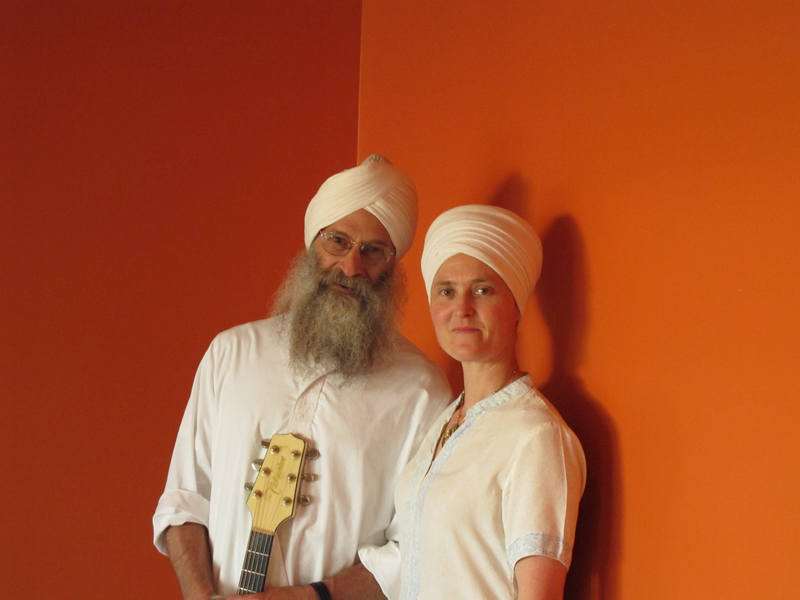 Yogi Bhajan said about Kirtan Sohila: It is the most harmonious Naad (vibration) ever uttered: it is classic, super! It multiplies the aura to the sensitivity of protection that it eliminates any negativity for miles and miles. When you’re endangered by any species of direct or indirect source, do Kirtan Sohila. When you want to protect yourself with the surrounding of the entire magnetic field of the earth. 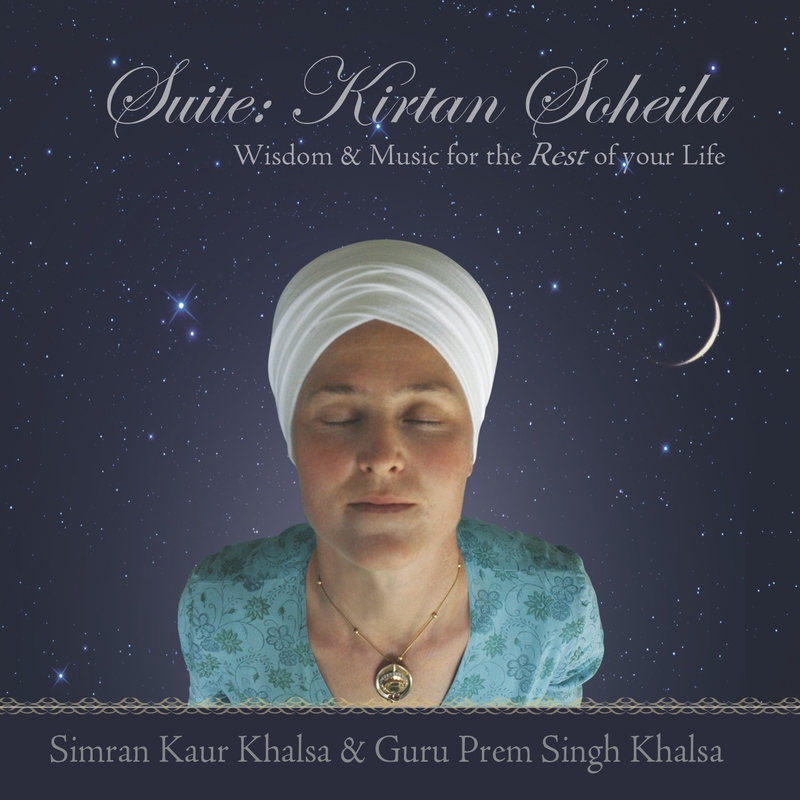 Reciting Kirtan Soheila each night before sleep brings clarity of mind, preserves your night and brings a beautiful dawn. It prevents nightmares and provides a shield of protection. Sikhs recite this prayer before bed, as well as when someone dies. It protects the soul on its journey to its true home with God. Release of GuruPrem's Book Published by KRI! 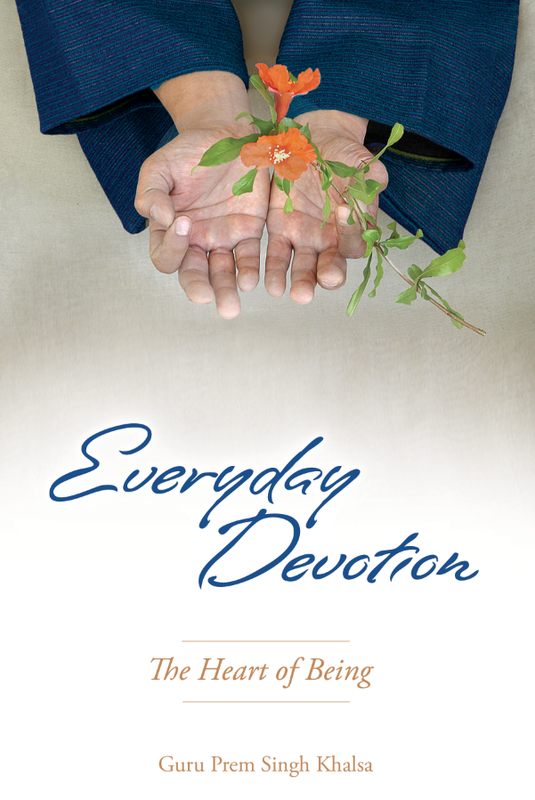 "Everyday Devotion - The Heart of Being"
' Everyday Devotion - The Heart of Being' GuruPrem's 3rd book is a bit of an autobiography of parts of his life and how he became and is continuing to become his name, GuruPrem Singh Khalsa. It is filled with stories from his transformation, of learning and lessons, of pain, discomfort, joy, finding his destiny and walking the path he walks, the life of a devoted Sikh, a family man, a Kundalini Yoga teacher, a man walking towards his destiny ', The book has something for everyone, meditations, breathing exercises, stories, philosophy, yoga, and we tried to make it Elevating, Entertaining, Empowering, Educational and hopefully get you to Exercise! GuruPrem Singh Khalsa was named 'Posture Master' by Yogi Bhajan. He is a Master Yogi and for the last 36 years has been practicing and teaching Yoga. He is certified by K.R.I. as a trainer of Teachers of Kundalini Yoga. He is an advanced Kundalini & Astanga practitioner and is an expert on body awareness in relationship to personal growth. He travels all over the world teaching the tools and rules of Divine Alignment and the concept of having your Heart Rule! He is the author of three books, The Heart Rules & Divine Alignment and NEW THIS SUMMER ~ Everyday Devotion - The Heart of Being! GuruPrem is also a musician, producer and composer, he has produced and arranged more than 14 albums of Mantra music, Chanting, Kirtan, Gurbani and Spiritual Songs. He has worked with the artist Wah!, Mirabai, Snatam and Nirinjan Kaur. GuruPrem has always studied the use of the body, at an early age he enrolled himself in Gymnastics classes! Thru Gymnastics he won a scholarship to USC and went on to compete in Elite level gymnastics. After college he taught gymnastics and began to study Martial Arts & Yoga. GuruPrem has had an active practice at the World famous Khalsa Medical Clinic in Beverly Hills, as a world renowned Structural, Breath, Yogic and Massage Therapist for over 25 years. He understands the body, can read its patterns of tension and breathing that are limiting you and design an asana routine that can help you open your self to a new you, healed, open, strong and couragous. He has helped thousands of people, become more aware of their patterns that bring discomfort and teach them techniques that allow them to live with more ease. This entire Album: Heal Me, was done as my personal prayer for healing and redemption. Though made up of multiple songs, it is meant to be enjoyed as a complete experience, from beginning to end. When listened to in this way, the songs weave a tapestry of deep and manifold healing. It is my hope and prayer that my journey of healing is conveyed through this music and that each listener can be healed through the sound and vibration that has been created. Release of GuruPrem's NEW Book Published by KRI! "Everyday Devotion - The Heart of Being"
Featured Teacher GuruPrem in LA Yoga Magazine! This is a video of our family having fun as we do almost every weekend at Muscle Beach in Santa Monica. We love to have people come and join us and learn to have fun!